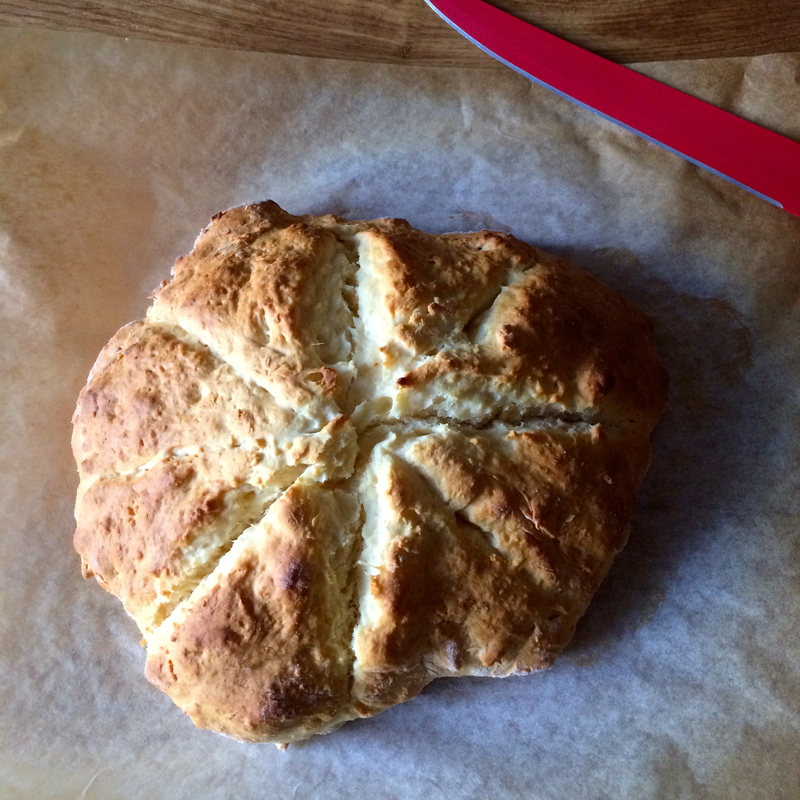 The recipe I was working to is one from Allyson Gofton’s Bake cookbook for Waiheke Lemonade Scones. 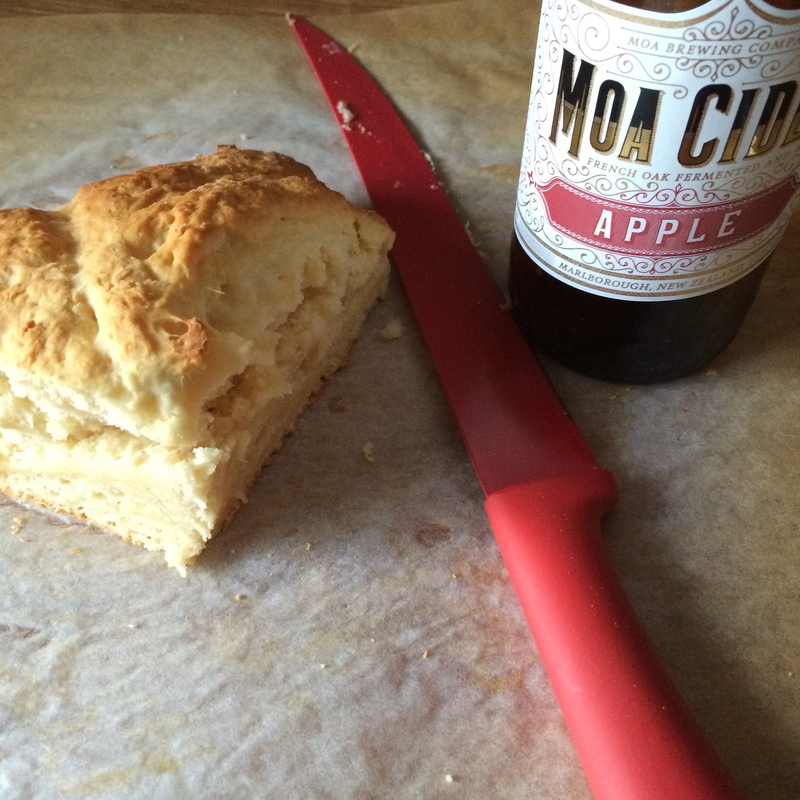 Instead of 3/4 cup of lemonade I used 3/4 cup of Moa’s Apple Cider* – it’s dry, but has a sweet undertone that a lot of dry cider’s don’t have, but not too sweet. In the past I tended to go for the sweet ciders because I liked them more, but now I try to find a happy middle ground, and this is pretty bang on. At first I was a little dubious that this was even going to work. I kept peeking in the oven to see if they were rising, which they weren’t really to begin with. Then they puffed up real good. 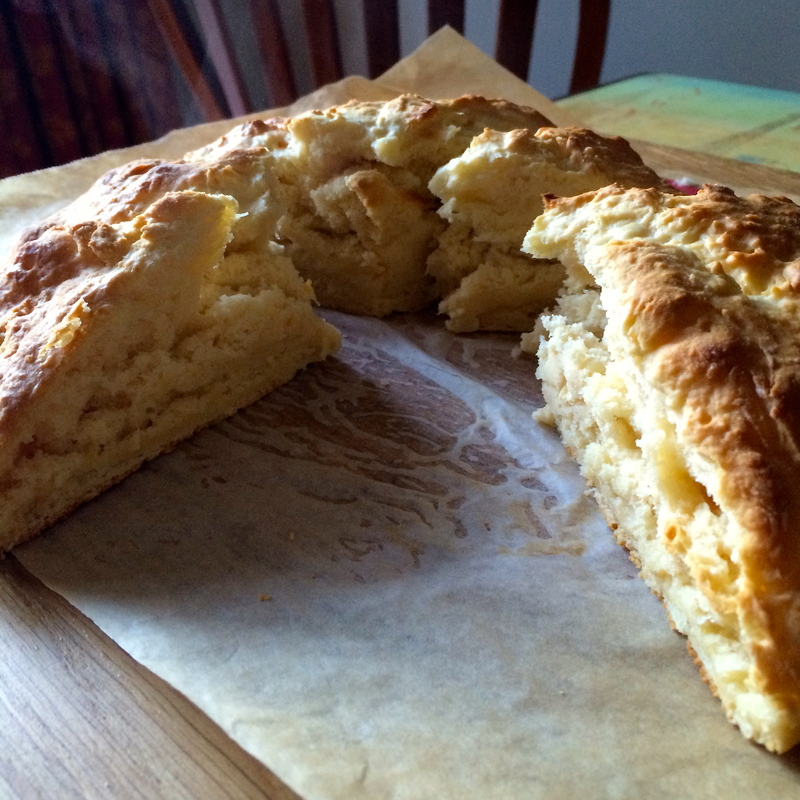 I also don’t tend to have cream in my fridge that often, so it was nice to try something different with the leftover. 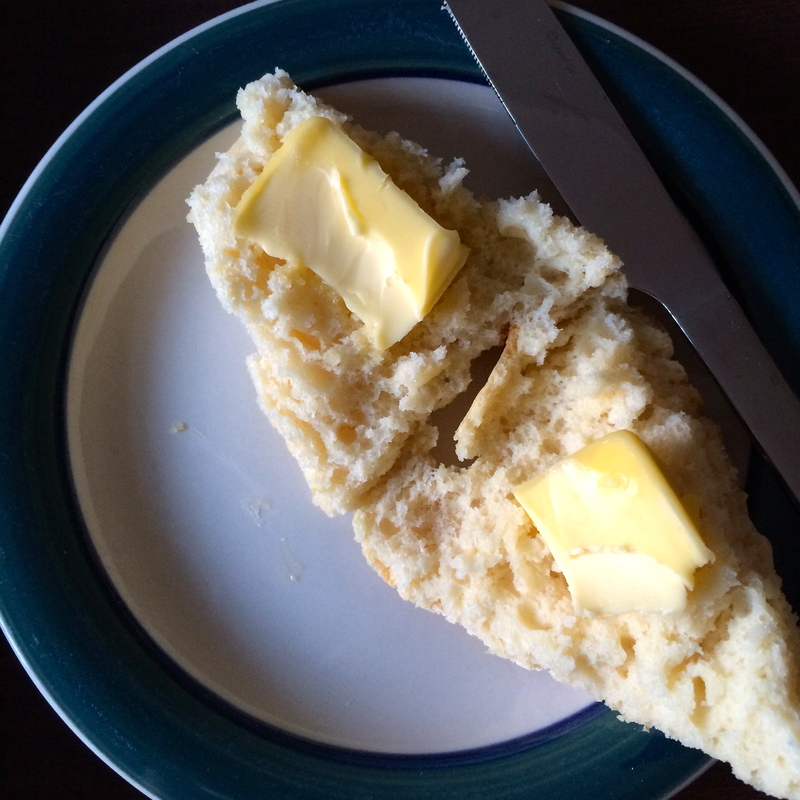 Also, these scones are SO much easier than normal scones. I also reckon they could work well with beer. *Disclaimer: I had Moa Cider sent to me courtesy of Moa Beer, which is why it was in my fridge.